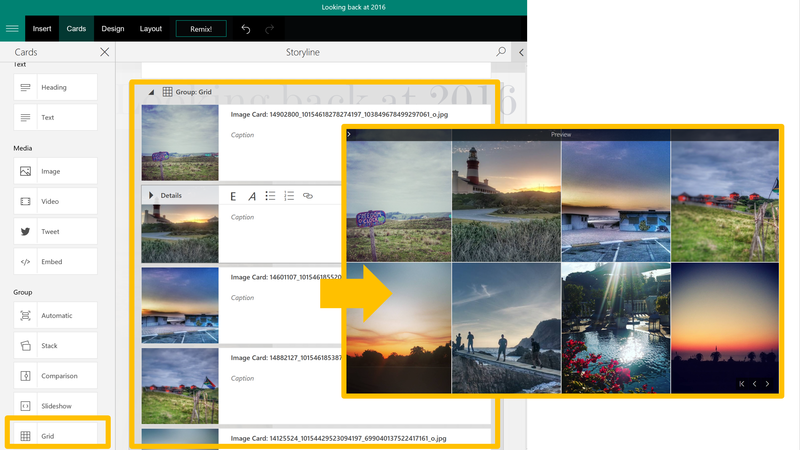 #Office365Challenge In today’s post we’ll start adding images to our Sway and try the different grouping types for effect. 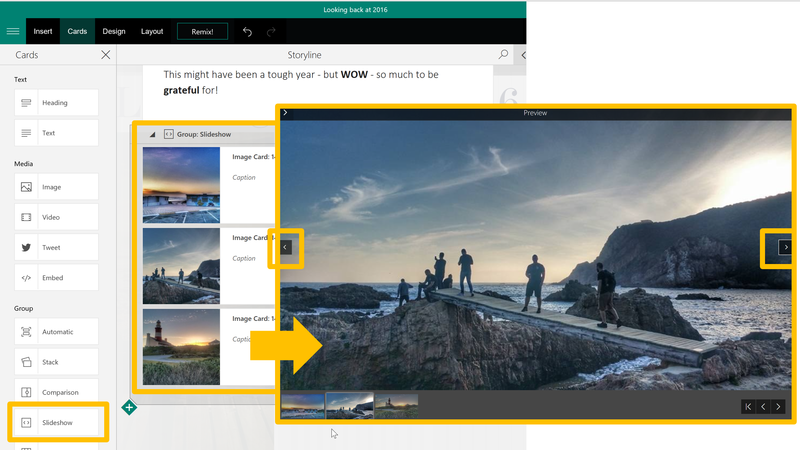 Note: You can share your Office 365 Sway externally if this has been enabled in the Admin Centre. See post here. 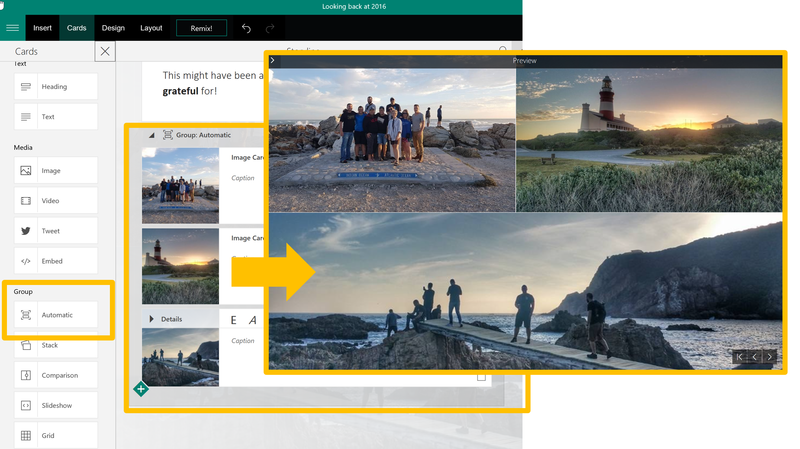 Go to the Microsoft account sign-up page and tap or click Create account. 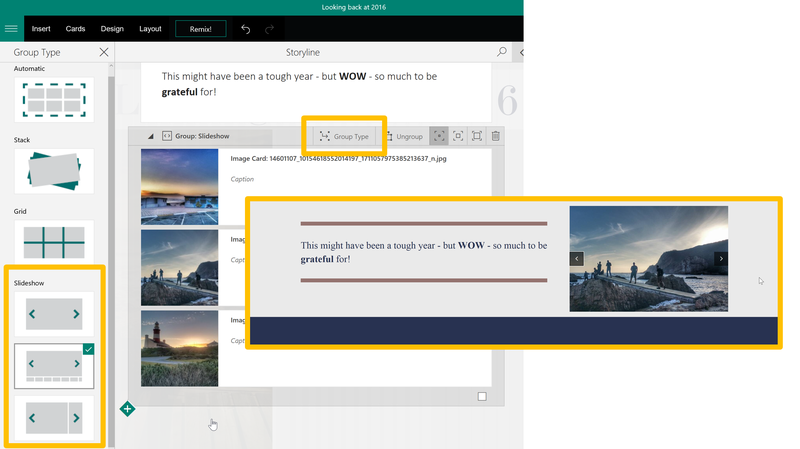 In the User name box enter your existing email address, or tap or click Get a new email address to create an Outlook or Hotmail address. Fill out the rest of the form, and then tap or click Create account. 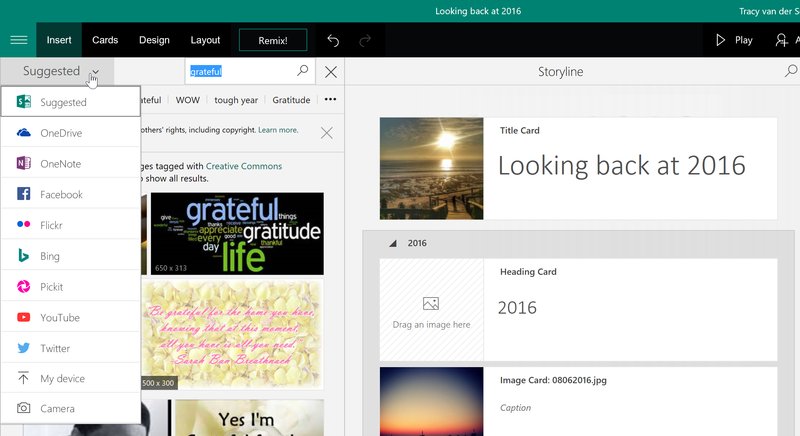 For this project I’ve decided to create a Sway showing 2016 in Review. I’ve spent a couple of hours gathering photos, copying links and making notes of what I’d like to share with my friends and colleagues. And believe me….. that was the hardest part. 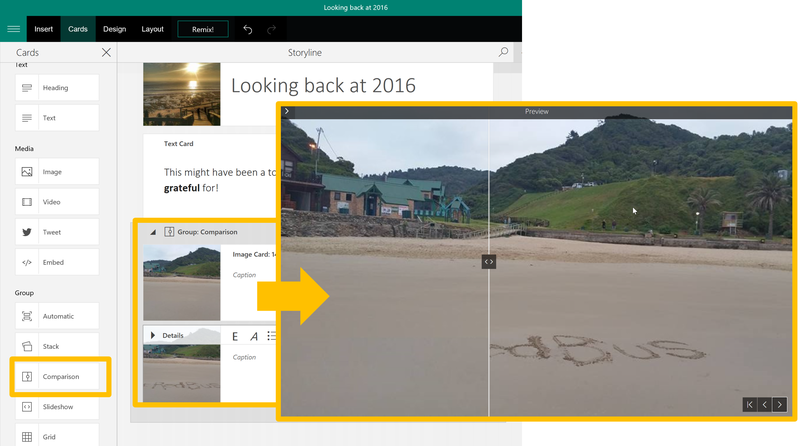 Once you get used to how Sway works, you’ll be sorted. 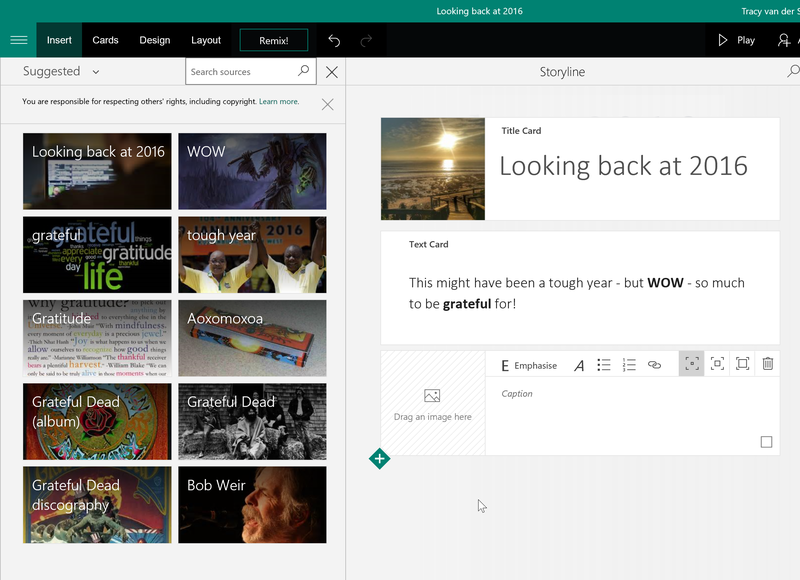 I have to admit though (and yes, Change Management is what I do) – it took me 2 years to start using Sway – Launched October 2014. Why? Cause I’m human. I don’t like change and I’d rather use something that takes longer – because I know it. True Story. 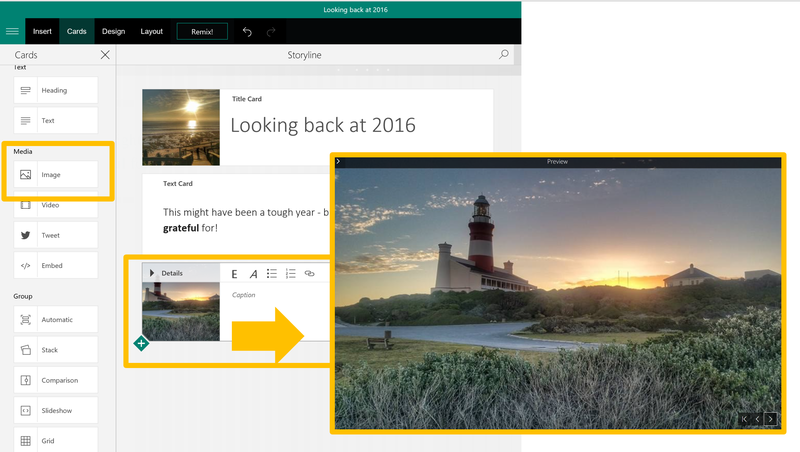 I LOVE PowerPoint and I’m rather good at it – so I was kinda rebellious towards using Sway. 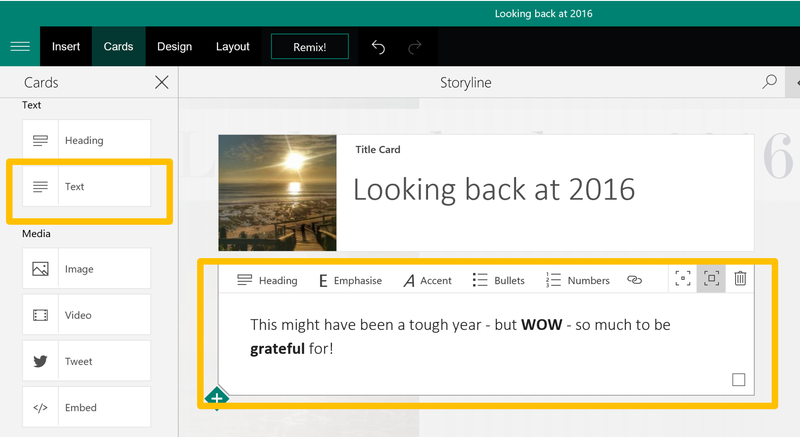 But here we are – and I’m gonna learn to use it and love it as much as PowerPoint. And I hope you’ll join me on my journey. 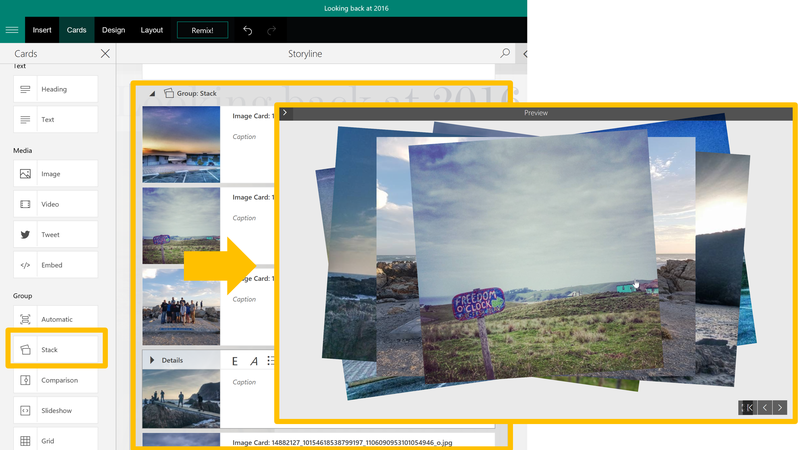 Keep in mind that you can click on Remix or Design and Layout to transform your Sway. This will impact how the different groups react when displayed. I suggest you mess around with the different options – as that’s the only way to learn. Tomorrow we’ll look at the different types of media we can insert – Videos / Tweets and Embedding Code. Hello There. I found your weblog the use of msn. That is a really well written article. I will be sure to bookmark it and come back to learn extra of your helpful information. Thank you for the post. I will definitely comeback.